Have you ever looked at a group of chickens and thought, “I could keep these alive”? Our guest today, has prepared a course to teach you how to ensure that happens. Kunal Sampat is host of the Clinical trials podcast, a backyard chicken grower, and the creator of The Raising Backyard Chickens – Training Program a service that can teach anyone what it takes to keep chickens happy and healthy. Together we’ll discuss what interested Kunal in raising poultry, what having chickens in an urban environment is like, how clinical trials work, and so much more. Enjoy this episode with Kunal Sampat. The reason they chose to raise chickens was that Kunal wanted to have a rural/sustainable experience even in the city. It was an early exposure to composting in elementary school that first introduced Kunal to agriculture. After pursuing some vermaculture (raising worms), they made the choice to raise chickens. 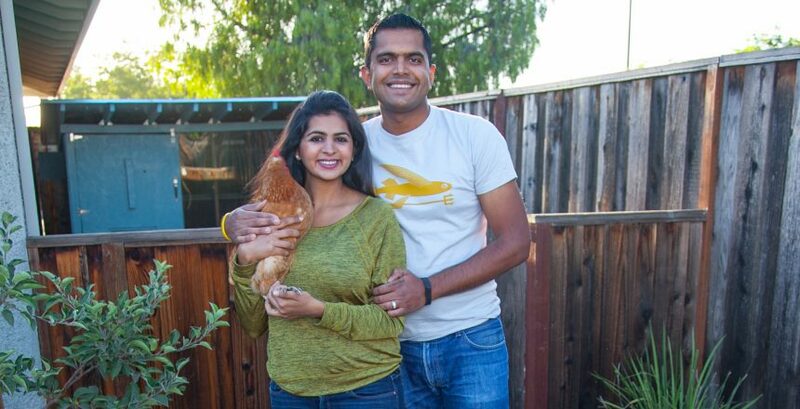 Kunal and his wife live in San Jose, and consequently needed to comply with municipal requirements regarding chickens. San Jose does not permit roosters because the neighbors don’t like to wake up early in the morning (though Kunal’s neighbors don’t mind). If you can have roosters, 1 rooster to 10 hens is a good ratio. They chose to make a “Four Seasons” chicken coop, because of the hotel, not necessarily the weather. When making a chicken coop you don’t need to professionally landscape it. Kunal started the Clinical Trials Podcast to share information about the profession for people who are involved in it. A clinical trial is for both drugs and medical devices, it’s a method by which a product or device is tested across a group of patients to verify it’s effectiveness. There is a series of pre-clinical work in which the safety of the product is tested before it’s used on people. Developing the Raising Backyard Chickens program was to share information with people to directly learn how to raise a backyard chicken.